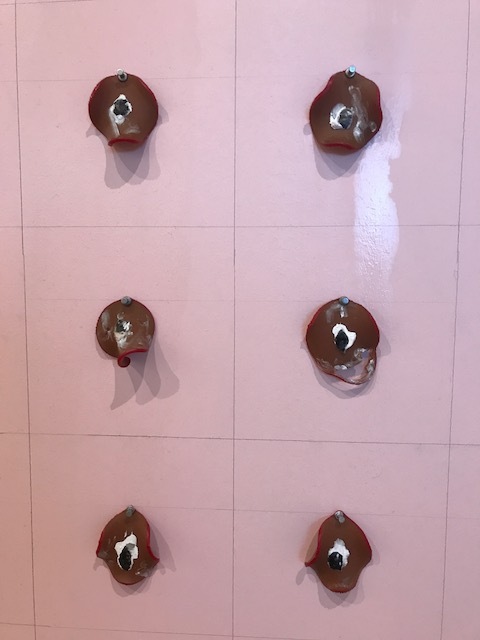 I’ll bet you’re thinking the post title is a metaphor for bad art. It can be taken both metaphorically and literally. 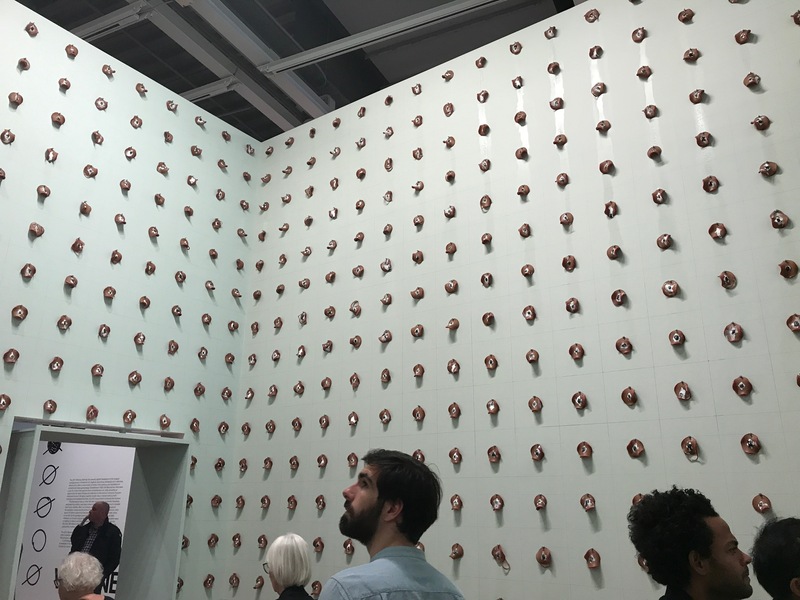 From this year’s Whitney Biennial, I give you Pope.L’s Claim (Whitney Version). Or, more accurately, The Baloney Room. The Biennial is always ripe with hyper-modern art begging to be ridiculed. This year’s show was actually quite accessible and there were many pieces I enjoyed. But where’s the fun in discussing those? 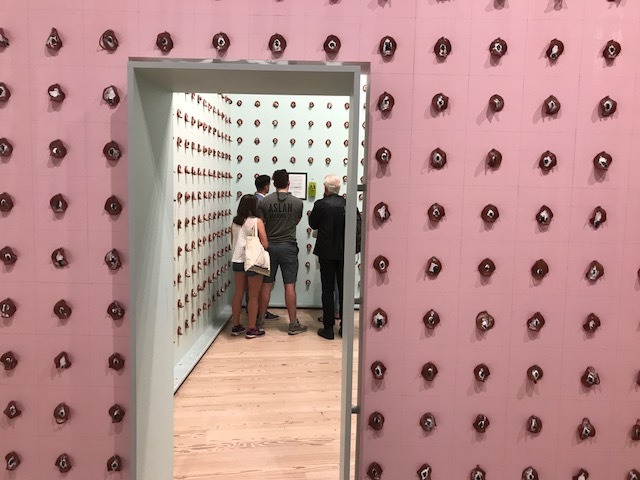 There were 2,755 slices of bologna pinned to the interior and exterior of freestanding walls. The slices were carefully arranged in a grid. The number of slices represents 0.25% of the total number of Jewish citizens living in New York City. Each slice has a small, black and white image of a (supposedly) Jewish person pasted in the center. As time passed, the slices dried and the portraits distorted. The exhibit was quite smelly. 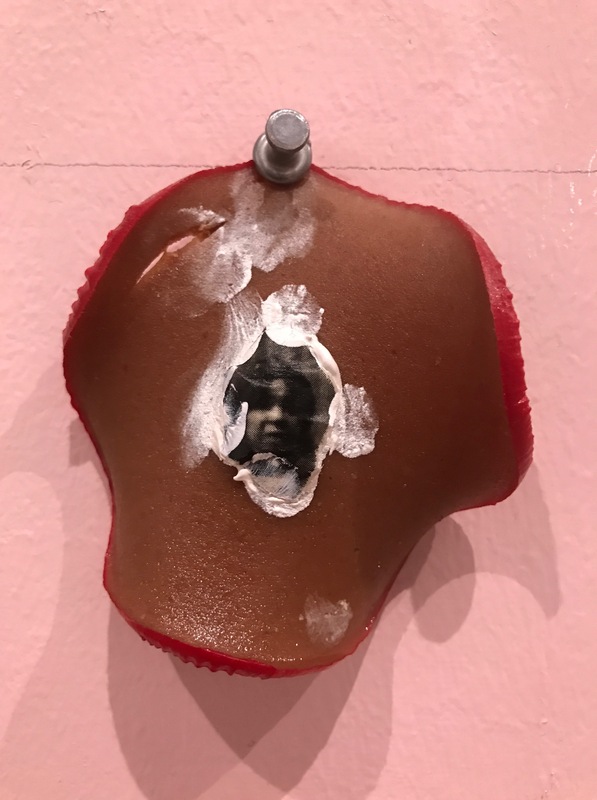 There was some ARTNews-worthy mumbo-jumbo explaining the MEANING of a slice of baloney with a portrait on it but I wasn’t buying what they were selling. Pope.L is also known as William Pope.L. A pretentious name to go along with his pretentious art. 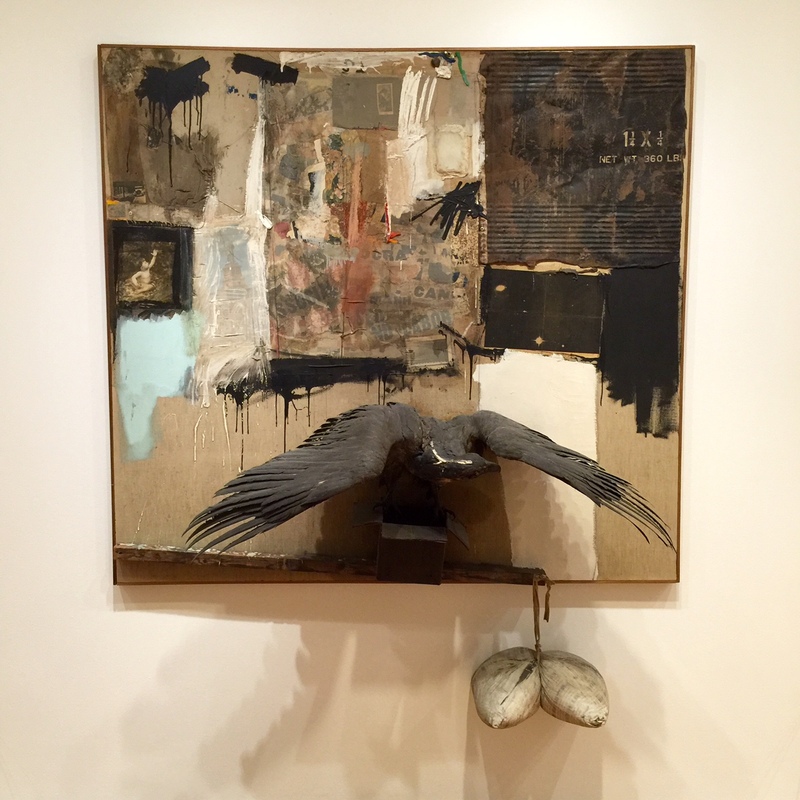 On the other hand, we have Robert Rauschenberg. There’s a fine retrospective currently at MoMA. I’ve always been a fan of his work but this exhibit gave me a deeper appreciation. It restored my faith after the Biennial circus. 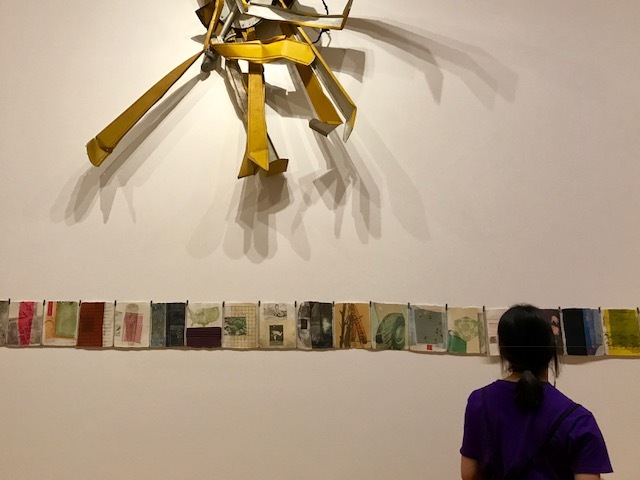 In Hiccups (1978), Rauschenberg gathered images from magazines and transferred them to 97 sheets of handmade paper using a lithographic press. The sheets are connected with zippers. The sheets can be disassembled and reordered. You can change the flow and texture of the piece. I didn’t get the sense this was participatory, so I didn’t try to rearrange the sections. 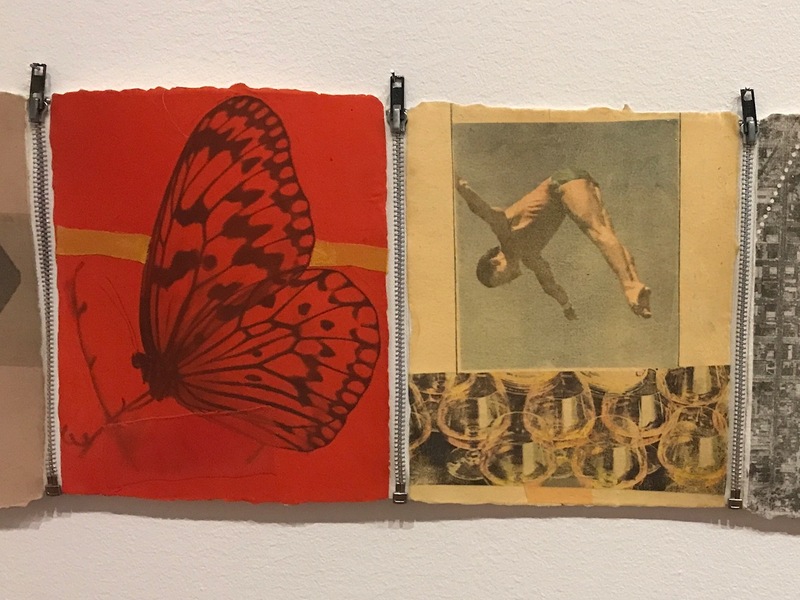 When he was young, Rauschenberg briefly worked as a zipper inspector for a bathing suit company. Hiccups wasn’t participatory, bur Black Market was. 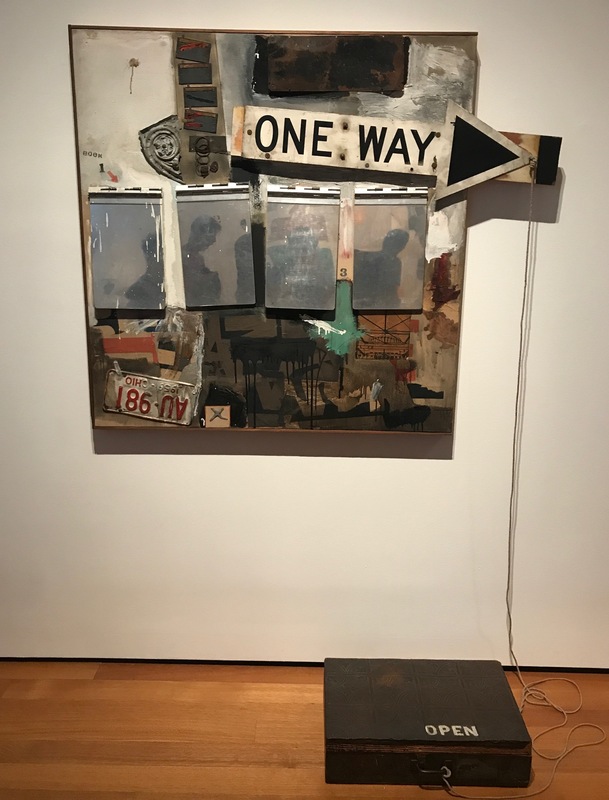 When first exhibited in 1961, Rauschenberg placed objects in the suitcase. Viewers were invited to take an item out and leave one of theirs in return. They were instructed to draw their item on a clipboard attached to the canvas. He closed the exhibit when he discovered items were being taken but nothing left in return. You can always count on humanity to let you down. This is Canyon, one of his Combines. These were works made from found objects. The stuffed eagle was given to him by fellow artist Sari Dienes. She found it in a hallway of the Carnegie Hall studio building in 1959. Bald eagles are a protected species, so selling this would be a felony. Consequently, when the owner passed away and bequeathed it to her children, the appraisers valued it at $0. The IRS disagreed and said it’s worth $65 million and wanted $29.2 million in inheritance taxes. To get the IRS off their backs, they agreed to donate it to MoMA and MoMA agreed to always have it on display for the public to enjoy. Thank you, IRS! Bonnie has viral meningitis. She calls it fire on the brain. She got it from kissing the guy who owns the company she’s doing work for. How about that Bonnie? Always sleeping with the help. I paid a visit and brought some groceries. She wanted hummus, beef bouillon cubes, Georgia peach juice, macaroons and some other stuff. Why can’t she just get milk and bread like everyone else? She didn’t look too good but was in high spirits. I gave her a back rub and that made her feel better. She always loved my back rubs. She said they have a medicinal, healing quality. I picked up a bacon cheeseburger deluxe from the Greek diner for myself. We sat at her glass kitchen table and talked. I ate my delicious burger and she picked at my fries and drank water. She has a book idea. “How to Commit Sexual Harassment.” She’d show two photos. One photo, captioned “Correct,” would be a man and a woman in business attire, holding brief cases standing with their hands extended to shake. The other photo, captioned “Incorrect,” would be the same woman with her hand extended and the man would have both hands on her breasts. The humor seems kind of broad and obvious to me. She wanted to know if I’d pose for the photos and I said sure. We talked a lot about Laura. She seems genuinely happy for me and told me to be careful not to smother her. I got home around 10:00 and Kurosawa’s Seven Samurai was on PBS. I went to bed. At 1:30, my doorbell rang. It was Laura. I let her up. I opened the door and watched her walk off the elevator. She was wearing a red tee-shirt, a black/white jacket and blue jeans. She’d spent the day in the sun and was glowing. She was a vision. I’d never seen her look more ravishing and told her so. She stepped into my apartment and closed the door behind her. She put her arms around my neck and said she couldn’t sleep. She kissed me.